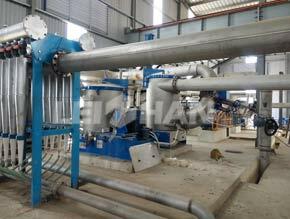 Lately, Vietnam paper mill has installed Leizhan equipment for 150t/18h high-strength corrugated paper making project, and Leizhan equipment are highly praised by Vietnam paper mill. The complete paper pulping equipment mainly include chain conveyor, pulping equipment, cleaning equipment, screening equipment, approach flow system before paper machine, tailing pulp dealing system, pulp chest agitator, etc. The raw material is Vietnam LOCC. 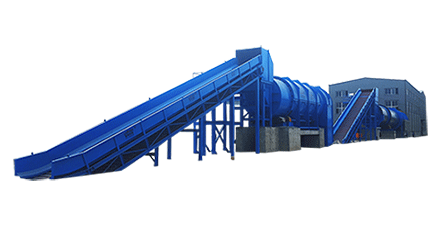 Firstly, the raw material is conveyed by chain conveyor into pulping equipment(D-type Hydrapulper), then the pulp into cleaning system for pulp cleaning(High density cleaner), after that, the screening equipment(M.C. pressure screen) for pulp coarse and fine screening, finally, the pulp will go through approach flow system before paper machine for paper making. After paper pulping, the fine pulp will into paper machine for papermaking. Firstly, the pulp will form wet paper sheet in paper machine wire section, then the wet paper sheet go into press section for dewatering, after that, the paper sheet into the dryer section for drying to improve paper dryness, finally the finished paper will be rewinding into required width.